Freebie alert! 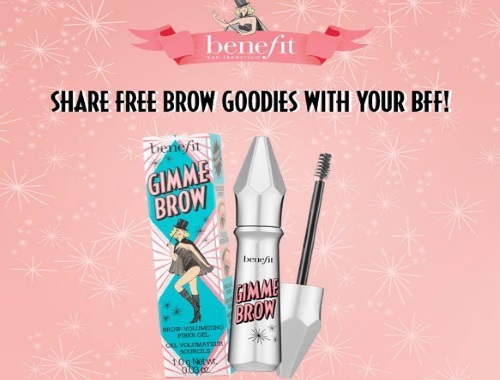 Benefit Cosmetics is giving out Free Gimme Brow Brow Volumizing fibre-gel brow gel! Share the offer with your friends, or send it to yourself, they won't know the difference, then click on the link in the email (personalized) and fill out the form. You must follow @BenefitCanada on Instagram to be eligible. Allow 2-3 weeks for delivery. Available while supplies last. Limit 1 per household.